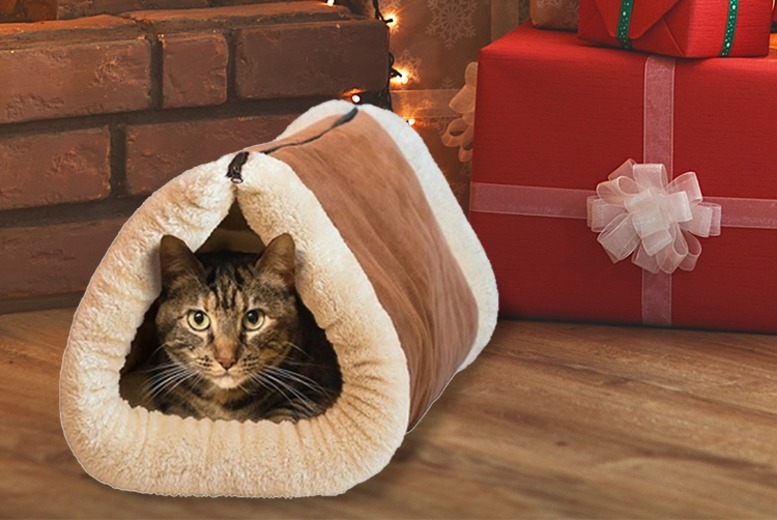 Treat your feline friend to a 2-in-1 bed and mat! The self-heating thermal core of the bed provides warmth. Fur will stick to the electrostatic plush material – keeping your house fur-free! The lightweight design is ideal for keeping your kitty warm on the move. 36’’ (L) x 23’’ (W). Can be machine washed in cold water.